Bite Beauty is one of my absolute favorite lipstick brands. In fact, recall me claiming that their Amuse Bouche line is the most moisturizing lipstick ever. I stand by that statement! 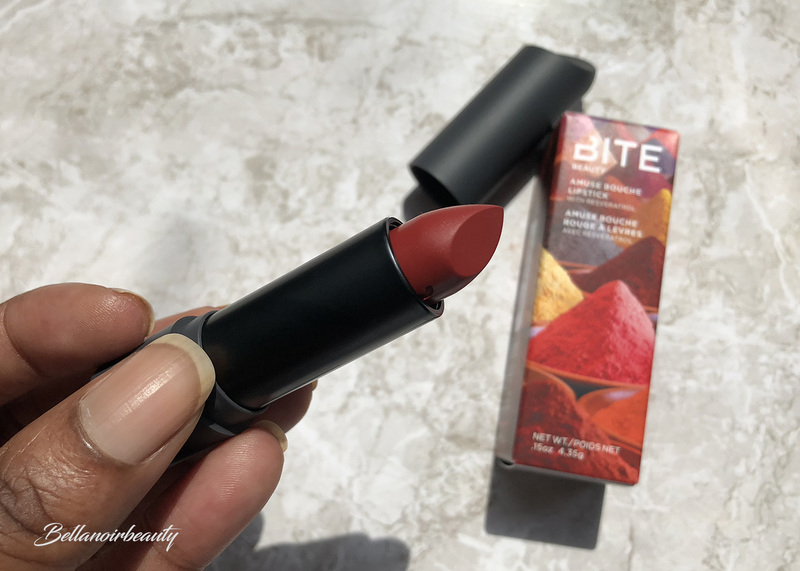 Bite released a spice-inspired collection a few months back in their Amuse Bouche collection and I have been crushing on it ever since. More specifically, I was crushing on the shade Crushed Chili, and finally gave it a go. My lips are regularly dry. I usually use lip balm before lipsticks but that's not necessary with this line of lipsticks. 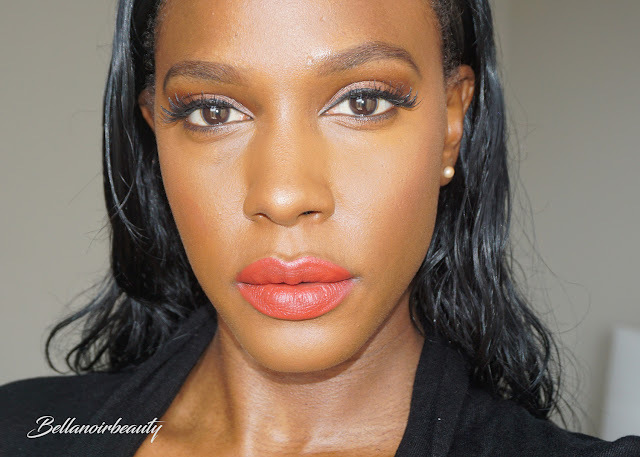 You can even get away with flaky lips with this lipstick. 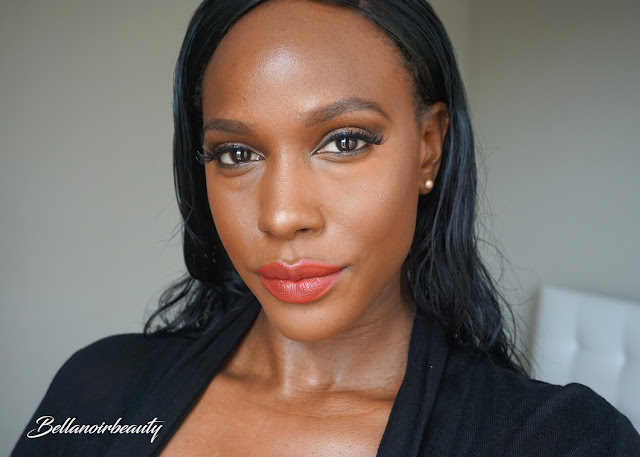 From the brand: Amuse Bouche Lipstick is the Perfect Bite. 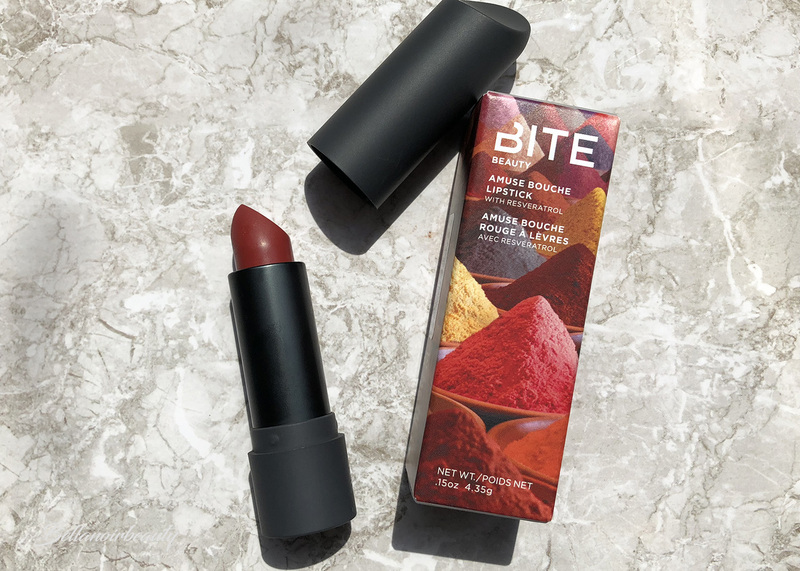 Inspired by amuse-bouche—small, perfectly crafted bites that showcase a chef’s artistry when it comes to flavor, texture and presentation—this lipstick serves bold, creamy color and an unforgettable sensorial experience in a single swipe. A couple swipes across the lips and I am good to go. I will also take Lipstick Queen's invisible liner to clean things up if I go overboard. I like to wear this lipstick blotted, but you totally don't have to. Of course, I live for the formula. It's rich, thick, and highly pigmented. It's got that classic Bite vanilla smell and even though the color isn't what I was initially after, it's very unique to my lipstick collection, which is surprising; I have a LOT of lipstick. 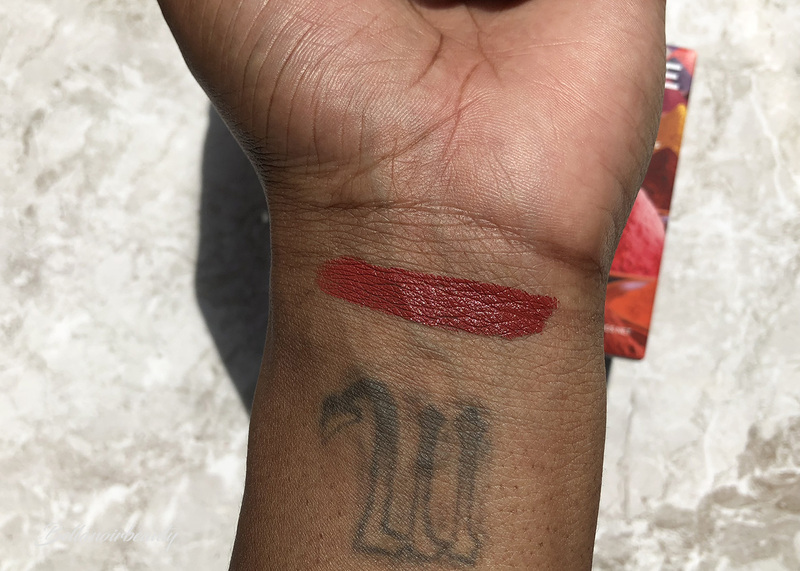 I coveted and bought this lipstick based on Christine from Temptalia's lip swatches. I must say, I was disappointed to see that it did not look the same color on me. 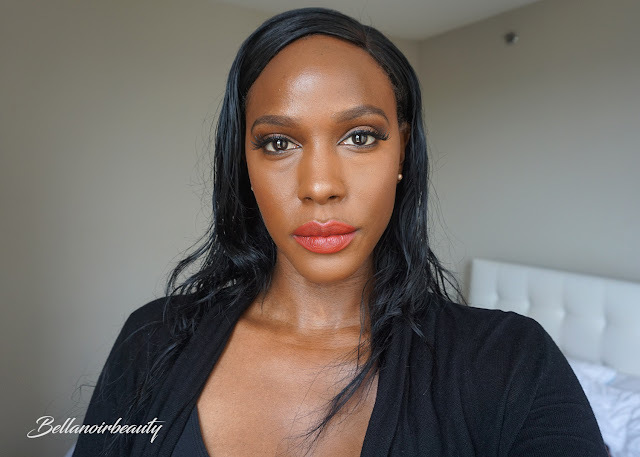 I wanted this lipstick because it looked like a very rich, deep red, but on me it looks like it has peach-like undertones. The swatch on my wrist in direct sunlight was encouraging but misleading as it looked totally different on my lips; funny how that works! 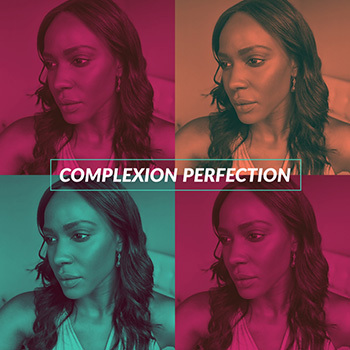 While I was bummed out about the color I do actually like the color on my lips and against my skin tone, it's just not what I was after.